Scandinavian design has gained popularity through its beautiful, yet unpretentious simplicity of forms. It was Dudley Moore who, in his movie “Crazy people”, hilariously described Volvo as “boxy, but good” and this seemingly exaggerated reduction of forms unique for Scandinavian products is probably one of the strongest reasons for its world-wide success since late 1950’s. Scandinavian designers have, so to say, found a way to approach the consumer by putting functionality before the ostentation and plain aesthetics, without turning their creations into dull, run-of-the-mill artefacts. 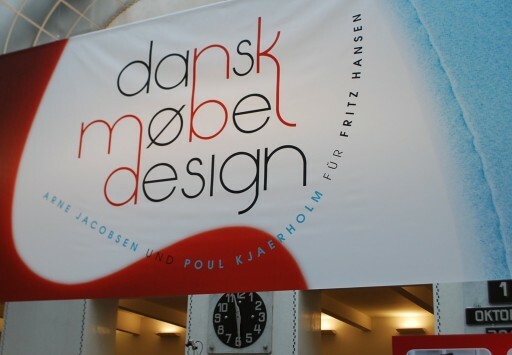 The story involving two top Danish designers, (Arne Jacobsen and Poul Kjaerholm – both related to the Republic of Fritz Hansen) their beginnings and highlights of their careers as designers, is currently the subject of the exhibition “Danish furniture design” in the Viennese WAGNER:WERK Museum. 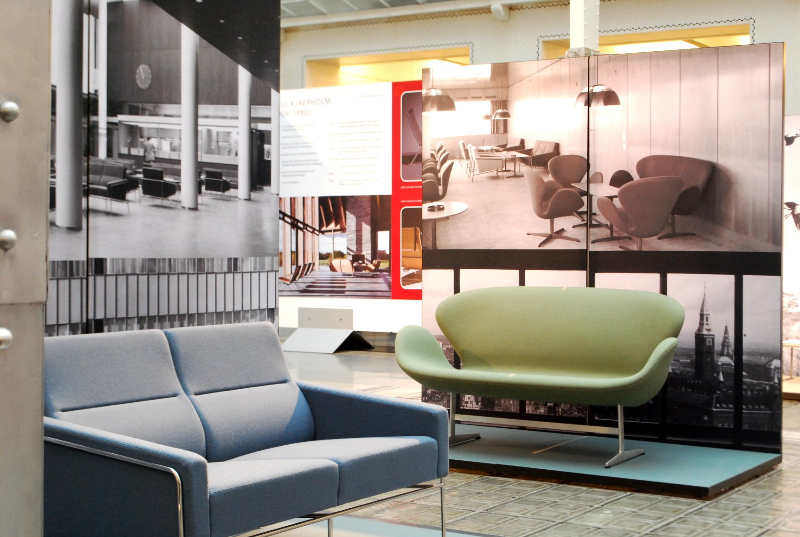 In the breathtaking ambience of the Austrian Postal Savings Bank building designed and built by the architect Otto Wagner, visitors can peruse some of the most remarkable pieces of furniture from Jacobsen & Kjaerholm and construct themselves an image of the history of the Danish furniture factory Fritz Hansen. During 1950-60 Fritz Hansen (today also known as The Republic), founded in Copenhagen 1872, launched one of its most famous models – the Ant chair, designed by the architect Arne Jacobsen. With its slender ‘waistline’ and shape of an ant bent over at 90° angle, this classic, the popularity of which hasn’t diminished, represents its name sake. First designed and manufactured for the Danish Novo factory cafeteria in 1952 as a part of Jasobsen’s architectural project, the chair has essentially retained its original design. The only alteration being made by the designer himself: the original prototype had three metal legs, the later series were also produced in classical 4-leg design. Not only loved for its beautifully cut form, but also for its practicality, the Ant chair remains one of Fritz Hansen company’s top sellers, being still manufactured by Jacobsen’s blueprints and the chart of colour range (including the classic made of veneered beech). 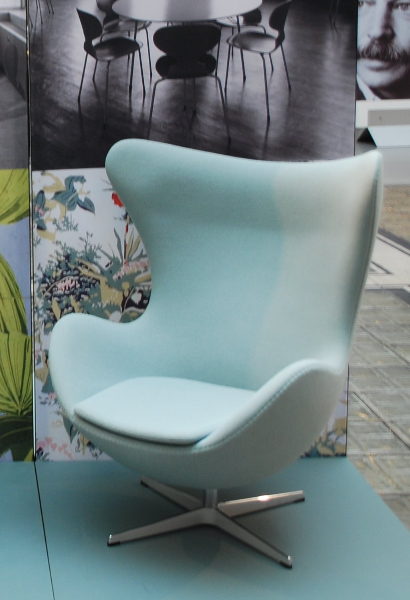 After the big success of Ant chair, two more of Jacobsen’s designs have conquered hotel lobbies, offices and other public spaces: Egg-chair and Swan-chair. Due to its oval shape, the Egg-chairs gives the sensation of semi-privacy, “hugging” the body of a person sitting in it. Poul Kjaerholm will remain famous as the first Danish designer who, despite being a carpenter, chose to work primarily with steel after World War II, thus distancing himself from the Scandinavian tradition. With his almost mathematically cut designs, his designs bear resemblance with that of Mies van der Rohe. 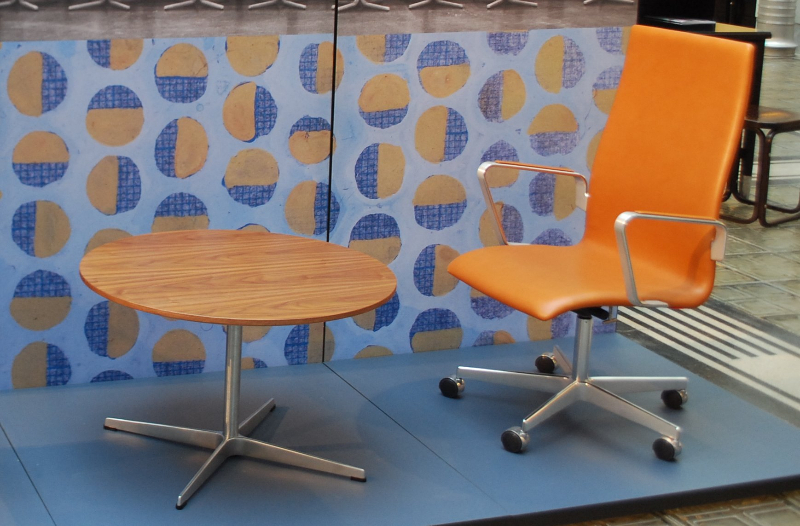 Although he also designed for Fritz Hansen, he became famous through his collaboration with another Danish furniture manufacturer – Ejvind Kold Christensen, who gave him absolute artistic liberties. 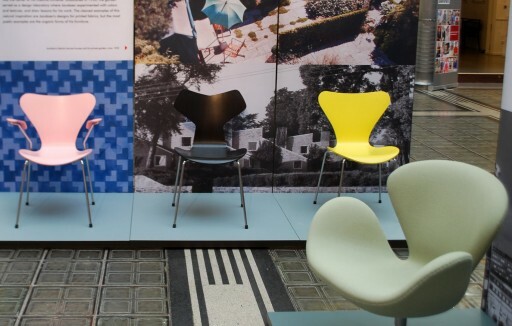 Just like many other companies which do not cut costs on wrong things (materials, production and labour), Fritz Hansen is facing problems with piracy and sale of the exact copies of their most popular furniture pieces, made of low-quality materials. Even the taste of unprivileged classes has changed and not everyone necessarily runs to IKEA to purchase another chair that half of the neighbourhood already has, but still, it is quite difficult to afford Jacobsen’s chair or Poul Kjaerholm’s pk22. WAGNER:WERK Museum Postsparkasse der BAWAG P.S.K.